The memory of man runs not to a time when an elected representative faced an ethics inquiry over official actions involving the theft and redistribution of the property of other people. By way of illustration, consider -- if you can stand to -- the career of the late Robert Byrd. The former Exalted Cyclops of the Ku Klux Klan "redeemed" himself by spending more than a half-century building monuments to himself out of wealth pillaged from other people. 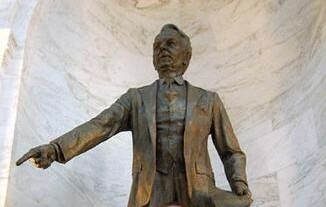 Byrd's memorials include a statue of himself he inflicted on the West Virginia state capitol, in violation of a law forbidding such acts of taxpayer-funded narcissism by living politicians. Former Exalted Cyclops, now immortalized in bronze. faced an ethics inquiry. This is because the erstwhile Klansman was a dutiful servant of the Plunderbund. By way of contrast, Idaho state representative Phil Hart finds himself arraigned before the ethics commisariat because he provoked the hostility of the tax-extraction bureaucracy. His "offense" was to questioning the constitutional and legal premises on which that bureaucracy was built. Quixotic though his campaign might be, Hart has never been guilty of corruption or criminal conduct. Yet his supposed allies in the state Republican Party seem determined to expel him from the legislature. Rep. Hart, who represents a northern Idaho town called Athol in the state legislature, has been uniformly execrated in the courtier press as a "tax cheat" and "scofflaw" by the media in both Idaho and Washington. It is true that Hart -- an engineer by education and professional background, a reluctant politician by conviction -- withheld tax payments while mounting a constitutional challenge to the federal income tax. However, after exhausting his judicial remedies in 2004, Hart filed a tax return and has since then paid more than $120,000 in combined taxes, interest, and penalties. This isn't the behavior of a determined "tax cheat" (an expression that connotes a moral delinquency on the part of someone trying to protect his honestly earned wealth from the designs of government-sanctioned robbers). Furthermore, there's nothing criminal or corrupt about mounting a constitutional challenge and losing in the courts. 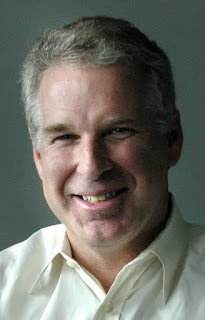 Rep. Hart's actual offense was not withholding payment of taxes, but rather refusing to surrender to the IRS the names and contact information of the thousands of people who purchased his self-published book Constitutional Income: Do You Have Any?, a detailed, scholarly examination of the history of the federal income tax. In writing that book, Hart applied the mental discipline of a trained engineer to the task of examining the convoluted legal and political history of the income tax. This included a study of every available legislative debate over the 16th Amendment, as well as contemporaneous media accounts and the official transcripts of the relevant Supreme Court decisions. Many of the documents Hart examined were found only through exceptionally devoted research and had never been read by eyes other than his. Hart's conclusion was that "there is no evidence upon which the government can rely for their claim that the American People desired to have their wages and salaries taxed.... It was never the intention of the American People for the 16th Amendment to confer the new power upon Congress that the bureaucracy says it has." "Among the states which purportedly ratified the 16th Amendment, at least four of them have overturned state income taxation on the basis that earning a living is a fundamental right which cannot be taxed," continues Hart. A tax on one's wages is a form of slavery; it is literally a tax on a person's right to exist. The original intent of the 16th Amendment, as one Congressman pointed out during a 1943 congressional on the House floor (see Congressional Record, March 27,1943, p. 2580), was not to impose a tax "on income as such," but rather to impose an "excise tax with respect to certain activities and privileges which is measured by reference to the income which they produce." In other words, the income tax was applied to income derived from the privilege of acting as a government-created corporation. As is the case with much of what happened in annus horribilis 1913 -- the Federal Reserve System being the most notable example -- the income tax was sold to the public as a way of protecting the common people from the predations of the super-wealthy. Currently burning in hell: Nelson Aldrich. At the time, the Republican-created tariff system that amounted to "a tax placed on the American people not by government, but by business," writes Hart. The income tax was designed to target those who profited from government-created and tariff-assisted monopolies. This was the "bait." The "switch" came once the 16th Amendment was ratified, when legislators in thrall to what used to be called the Money Power (with the detestable Nelson Aldrich playing a key role, as he did in the creation of the Federal Reserve) retrofitted language into the tax code that defined "wages" as the revenue source targeted by the income tax. Hart's analysis is similar to, but more comprehensive than, many other critiques of the income tax system. He is optimistic that the system can be reformed if he and others can cultivate sufficient awareness of the original intent behind the income tax, and the institutionalized fraud committed by the current tax bureaucracy. Unfortunately, he seems to have radically overestimated the system's capacity for institutional reform, while radically underestimating its capacity for institutionalized malice toward those who pose a substantial threat. "I read your book `Constitutional Income: Do You Have Any?'" Hart was notified in a letter from IRS agent Barbara Parks announcing that the state-sponsored terrorist clique employing her was beginning an "investigation" of the book. The purpose of that inquiry, she continued, was "to determine whether or not your statements are commercial speech and whether this activity causes harm to the government." With the help of the Center for Individual Rights, Hart successfully sued the IRS to interdict the agency's demand that he turn over the names of everybody who had purchased his book. Four years later, the IRS retaliated against Hart by issuing a final audit report denying all of his business deductions for eight years, hitting him with an additional tax liability of roughly $125,000. When he protested his treatment to the IRS, an official with the agency gloatingly explained: "When you don't give us everything we ask for, you get all of your deductions denied." "During [my] four year audit, I provided the IRS with all my canceled checks, receipts, invoices and so on -- boxes worth," Hart recounts. "Yet these deductions were denied solely for political reasons." Certified Public Accountant Paul J. Desfosses, a retired U.S. Treasury Agent residing in Pocatello, Idaho, sustains and elaborates on Hart's conclusion that he has been targeted for retaliation by the IRS "for failing to `snitch' on and provide the names of those Citizens who might have dared to buy and read [his] book with its critical history and assessment of Federal Income Tax Law." "I wish I could say that Representative Hart is wrong and that the IRS does not demand the names of Citizens who read disparaging comments about the Federal Income Tax, the IRS, or `big brother government' in general," writes Desfosses. "The truth is, that does happen...."
"While assigned to the Internal Revenue Service Idaho District, I was a National Treasury Employees Union Official and I routinely acted as the Union Steward in situations involving IRS employees who had been ordered to commit reprehensible and often felony criminal actions by their IRS managers or other IRS top officials," Desfosses elaborates. The agency "collected and compiled huge lists of citizens who were then targeted for audit and harassment for having bought and read a book such as Representative Hart's," or because they were perceived to be "a `threat' to the Federal Government's power" by IRS supervisors. Representative Hart isn't the only recent victim of this treatment, Desfosses continues. "In April I attended a U.S. Tax Court trial involving an Idaho State University Professor who had obviously been targeted by [the] IRS at the request of a Federal District Court Judge whose past criminal actions the professor had exposed in a newsletter," thereby resulting in the denial of an appointment to the Appeals Court. But abuses of this kind -- against both tax victims and IRS employees still burdened with a functioning conscience --are commonplace, Desfosses concludes. In persecuting the Plunderbund's enemies, the IRS can rely on the support of minor-league predators in state-level positions. So it's not surprising that the Idaho Tax Commission, after learning of the IRS's assault on Hart, gleefully piled on, demanding its cut of the fraudulently inflated "taxable income" and barraging him with tax liens. Since abandoning his constitutional challenge, Hart ruefully observes, none of the more than $120,000 he has paid "has been used to offset any of the lien amounts." His ongoing legal struggle with the Tax Commission provided the pretext for the ethics investigation against Hart. Invoking that long-established principle, Rep. Hart sought to postpone his protracted legal struggle with the Idaho Tax Commission until after the end of the legislative session. This was somehow transmuted by his critics into an attempt "to obtain special treatment from the Idaho Tax Commission." Likewise, Hart's service on the tax policy committee was described as giving the appearance of an attempt "to set aside the tax law and obtain personal financial benefit." The second charge is facially ludicrous. In describing Rep. Hart's supposed offense, Idaho House Minority Leader John Rusche complained that the committee assignment creates "the perception of a conflict of interest." But neither he nor any of Hart's other critics can specify the "financial benefit" Hart supposedly receives from that post. Indeed, Hart's service has done nothing to stanch his financial hemorrhage, much less provide him with some ill-obtained emolument. As Washington state legislator Matthew Shea observes in a tightly-reasoned essay examining the principle of legislative immunity in light of precedent and practices in other states, Rep. Hart's legal position is unassailable. "Rep. Hart has relied on the legislative immunity provision of the Idaho Constitution to postpone working on his own tax issues, which have been ongoing for a few years," writes Rep. Shea, who is also a practicing attorney. "There is no question that it is within the sovereign power of the states to afford this protection. Furthermore, the law seems to be clearly on Rep. Hart's side. So why does the witch hunt continue?" "Not only are Rep. Hart's accusers in error," concludes Rep. Shea, "but the entire situation substantiates the very reason legislative immunity was written into the constitution in the first place -- to prevent political persecution." In an interview with Pro Libertate Rep. Hart -- a political ally of several insurgent candidates in the recent Idaho Republican primaries -- expressed the view that the ethics complaint was confected by enemies within the statist elements of the state's Republican establishment. This is an entirely plausible explanation for the otherwise inexplicable decision of the Republican-dominated legislative leadership to stage an ethics inquisition on the basis of terminally flimsy charges. Already under siege by the world's most despicable terrorist syndicate (no, not al-Qaeda -- the IRS), Hart now has to contend with spurious charges of seeking "special treatment" and "financial gain." Yet state Rep. Ken Roberts remains secure within the Idaho Republican Party in spite of the fact, recently disclosed by the Lewiston Tribune, that Roberts has received nearly $370,000 in farm subsidies since 1995. Roberts, who ritualistically reviles subsidies directed at others, insists that when he's on the receiving end of plunder he's not redistributing wealth, but rather "recycling wealth." Predictably, nobody in the state Republican leadership has proposed that Roberts be subjected to an ethics inquiry. The Idaho Falls Post-Register notes that "three of the four members of the House GOP leadership team have cashed federal farm checks." A total of 36 current members of the state legislature have received federal agriculture payments (including disaster assistance and conservation reserve payments) since 1995. Of that number, 19 received subsidies -- and 18 of the Welfare Queens are Republicans, the people who "led the mostly ceremonial fight against the federal government during the 2010 legislative session," observes the Post-Register. Phil Hart's fight against federal tyranny was substantive, not ceremonial -- and that's why he's taking fire not only from the agents of the Plunderbund who confront him, but also from the less principled Republicans who are cowering behind him. UPDATE, July 30: "I believe it's over." After a three-hour inquest in which Rep. Hart's votes, tax controversies, and personal actions were subjected to minute scrutiny, all of the ethics charges dealing with supposed conflicts of interest were dismissed. The only remaining charge -- namely, that Hart may have "abused" his office by seeking to postpone tax litigation during the legislative session -- has been postponed and "could result in a legal challenge that would take years if they pursuit it," Hart informed Pro Libertate. "Deputy Attorney General Brian Kane said that the complaint was filed and then `we went on a fishing expedition,'" Hart recalls. "They weren't able to catch anything, but they certainly tried." As for the remaining charge, "I'm in a rock solid position," Hart continues, "the same one that's been followed in 11 other states. I wouldn't have proceeded as I did unless my legal position was as solid as it is." This may result in litigation, and if it does, Hart predicts, "I'll win." In any case, "it looks like it will be a little harder to throw me under the bus." Please join me Saturday evenings from 8:00-11:00 Mountain Time for Pro Libertate Radio on the Liberty News Radio Network. 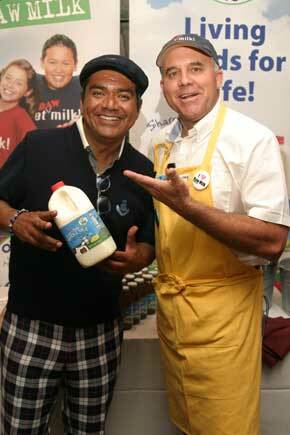 Many thousands of years ago, two men came across a dairy cow, a beast neither had previously beheld. One of them, seeking to impress the other, pointed to the creature's udder and declared: "You see those things dangling from the underside of that animal? Well, I'm going to squeeze one of them and drink whatever comes out of it!" According to the late and much-missed George Carlin, that nameless daredevil was the bravest man who ever lived. He was also exceptionally fortunate, since he was able to consume raw milk, and even extol its nutritional benefits, without running the risk of imprisonment. "I drink raw milk, sold illegally on the underground black market," admits organic farmer and polymath Joel F. Salatin in the foreword to David Gumpert's book The Raw Milk Revolution: Behind America's Emerging Battle over Food Rights. "I grew up on raw milk, from our own Guernsey cows that our family hand-milked twice a day. We made yogurt, ice cream, butter and cottage cheese. All through high school in the early 1970s, I sold our homemade yogurt, butter, buttermilk, and cottage cheese at the curb market on Saturday mornings." Udder nonsense: The FDA considers this a death dispenser. This was possible only because our rulers -- who plunder our earnings to subsidize production of government-approved toxins such as high fructose corn syrup, and don't hesitate to confer the "safe foods" label on Twinkies and other hydrogenated wads of incremental death -- hadn't yet decided to protect us from the scourge of unprocessed natural foods, such as raw milk. That oversight has since been corrected. As a result, explains Salatin, home dairy producers like the family in which he grew up are forbidden to sell their products at a contemporary farmer's market. It isn't an exaggeration to say that the Regime is conducting a low-grade war against producers and consumers of raw milk -- a campaign that bears an undeniable family resemblance to the murderous, decades-long farce called the War on Drugs. It shouldn't come as a surprise to learn that a government presuming to dictate to us what mood-altering substances we can consume would likewise presume to tell us what foods we can eat and offer to others. The federal Food and Drug Administration, working through a multi-state network of sycophants, is treating the private distribution of raw milk as a species of criminal conspiracy. Borrowing a tactic employed in the War on Drugs, the Feds are seeking to extort the cooperation of some consumers to work as informants. Wisconsin resident and raw milk consumer Max Kane was targeted for that treatment, but refused to submit. 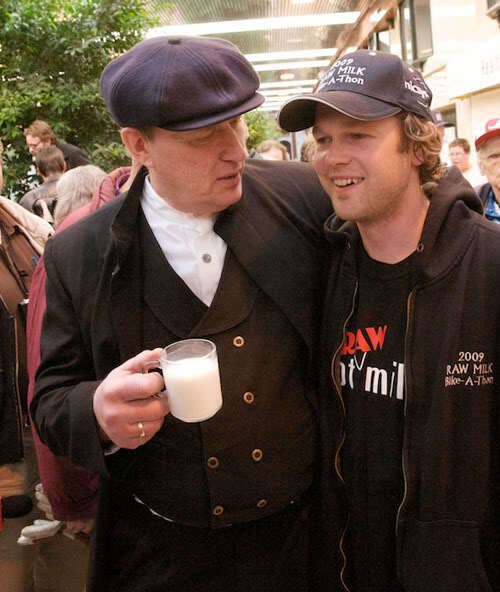 As a result, Kane may wind up in prison for the supposed offense of drinking raw milk and sharing it with others. As a child, Kane was diagnosed with Crohn's Disease, a gastrointestinal disorder that left him chronically weak, malnourished, and -- as he put it -- "wasting away." At his adult height of 5'11", Kane weighed 110 pounds. After conventional medical treatment availed nothing, Kane sought an answer in nutrition; he found one in a diet of raw foods, including raw, unpasteurized milk. Kane insists that raw milk and dairy products helped him attain the vibrant health he displayed to good advantage by staging a 40-day bicycle across the continental U.S. During that odyssey, Kane consumed only the dairy products supplied by farmers belonging to a nation-wide network of raw milk producers. According to raw milk proponents, pasteurization destroys not only harmful pathogens, but also beneficial bacteria needed to maintain a healthy balance of gastrointestinal flora (a subject about which I acquired some hard-won knowledge about a year ago). Homogenization further denatures milk, depriving it of vital alkalizing minerals that can bind with toxins and remove them from the body. There are trade-offs involved whether one chooses to consume milk in its raw or pasteurized/homogenized form. Furthermore, there are some accomplished health and fitness experts -- among them the legendary nonagenarian stud Jack LaLane -- who insist that human beings have no business consuming dairy products at all. Apart from the paternalistic assumptions favored by our self-appointed bureaucratic custodians, there's no reason to believe that individuals are incapable of making healthy decisions for themselves. 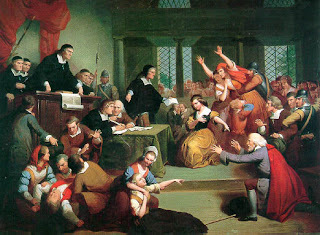 As Kane points out, his case is a dispute over property rights in the most elemental terms. "My body is my private property," he explains. "Nobody gets to say what I eat except me." Although the government that afflicts Wisconsin insists it is "illegal" to sell raw milk, the law contains no impediment to direct sale of milk by farmers to consumers. 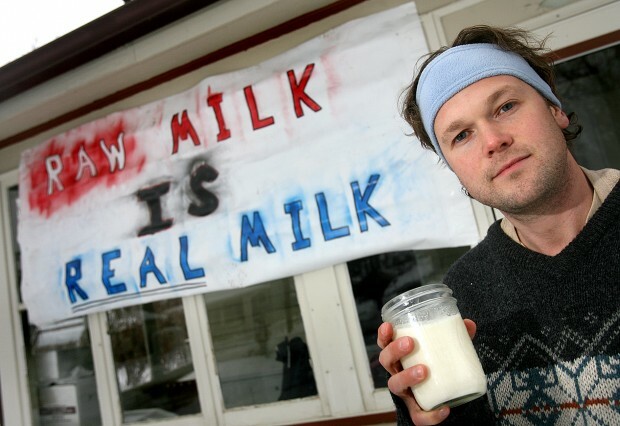 Kane, who founded the Raw Milk Party, lives with his wife and young children in Viroqua, a town of roughly 4400 people that prides itself on its organic farming and farmer's markets. He belongs to a "cow share" co-op, whose members receive raw milk in exchange for paying a portion of the upkeep of the animals. Like similar private ventures across the country, Kane's co-op is a subscription-based arrangement, which means that it deals with members, not customers. Kane sells his raw milk to another membership-based food club in Chicago called Belle's Lunchbox. In late 2008, Kane's club came under scrutiny by both federal regulators and Wisconsin's Department of Justice and Department of Agriculture, Trade and Consumer Protection (DATCP) following a conveniently anonymous complaint from an Illinois resident supposedly took ill after consuming unpasteurized milk. Georgia raw milk farmers were forced to destroy their inventory. The milk was traced to farms in Wisconsin, and the federal anti-raw milk gestapo -- already working with state counterparts in Michigan, Indiana, Illinois, and Wisconsin to crack down on the distribution of raw milk and other natural foods -- dispatched functionaries to test for brucella and other pathogens. Unfortunately for them, the tests proved negative, so they were deprived of a vital propaganda tool. Mark this well: The chief concern expressed here was not for the health and well-being of the public, but rather regret over the loss of an opportunity to exploit suffering in order to restrict the freedom of others. Deprived of that "lever," the federal food fascisti attempted to pressure Kane into informing on others involved in the "criminal" purveyance of pure milk. 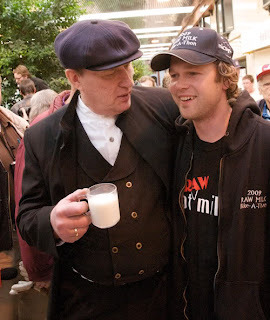 Despite the fact that Kane has never been accused of a crime, he confronts the possibility of criminal contempt charges for his refusal to provide names, addresses, and other information about people who belong to his raw milk club. Last June 18, Kane was summoned by Wisconsin State assistant Attorney General Philip Ferris to offer a deposition. Kane, who has always represented himself in court, wisely refused to answer any questions until and unless his constitutionally protected rights were explicitly recognized by Ferris. For his part, Ferris adamantly refused even to admit on record that he had sworn an oath to uphold the U.S. and state constitutions -- a refusal that is tacit admission that his oath was an act of public perjury. Ferris, thoroughly out-lawyered by an amateur, got nothing. Kane responded to the subpoena by challenging the constitutionality of Wisconsin's anti-raw milk statutes. This prompted the State of Wisconsin to escalate its assault by using the threat of criminal contempt charges in an attempt to extort Kane's cooperation. The term "extortion" is the only suitable one to describe what's happening here, since nobody has ever signed a criminal complaint against Kane or any of his associates. Despite that fact, the Wisconsin AG's office filed a motion to have Kane designated a "threat to the public" and imprisoned while his appeal proceeded through the courts. In an April 19 hearing, Vernon County Judge Michael Rosborough denied the state's vindictive motion to imprison the 32-year-old farmer and granted Kane sufficient time to collect transcripts and prepare for his appeal. The standoff in Wisconsin represents just one front in the Regime's war against people who produce and consume raw milk. David Gumpert (author of The Raw Milk Revolution) offers a rundown of some other recent outrages. "[In early June], agents of the Minnesota Department of Agriculture, escorted by police and also bearing search warrants, raided and shut down Traditional Foods Warehouse, a popular food club in Minneapolis specializing in locally-produced foods," writes Gumpert. 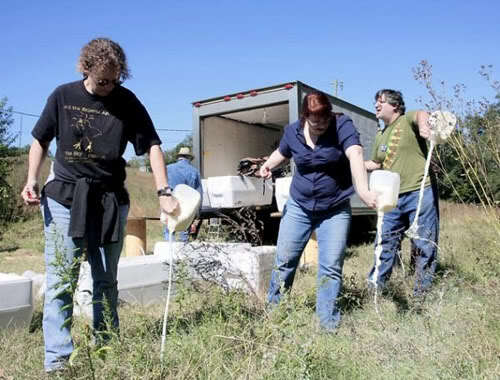 "They also raided two farms suspected of illegally selling raw milk. And in a national first among such raids, agents searched a private home and made off with computers; the family's offense appears to have been that it allowed one of the raw dairy farmers to park in its driveway to distribute raw milk to area residents who had ordered it." In California, Gumpert relates, a mob of 20 armed tax-feeders -- including personnel from two sheriff's offices, the LA County District Attorney's office, and the California Department of Food and Agriculture -- descended on Sharon Palmer's Ventura County farm. Palmer has endured three assaults of this kind over the past 18 months, apparently as a result of a technical error in the labeling of goat's milk. On the same day, government goons laid siege to Rawsome Foods, a Venice, California food club that offers a variety of unprocessed dairy products. The marauders made off with a large haul of raw honey and dairy products before shuttering the private club for failure to obtain a health permit. To his considerable credit, Rawsome owner Aajonus Vonderplanitz -- who has endured in-person harassment by the FBI and FDA -- re-opened his club just hours after the government-licensed vandals had wrecked it. These raids -- and scores of others like them -- are part of a coordinated campaign by the Federal Government to arrest "the spread of private food groups that have sprung up around the country in recent years -- food clubs and buying groups to provide specialized local products that are generally unavailable in groceries, like grass-fed meats, pastured [not pasteurized] eggs, fermented foods, and, in some cases, raw dairy products," observes Gumpert. "Because they are private and limited to consumers who sign up for membership, these groups generally avoid obtaining retail and public health licensed required of retailers that sell to the general public." All of this is dictated by the basic totalitarian formula: Everything within the state, nothing outside the state, nothing against the state. Private food clubs, like every other association, simply have to be brought under state control, or destroyed in a fit of coercive benevolence. We also shouldn't underestimate the Regime's irrepressible hostility toward any enterprise that promotes self-sufficiency: Witness the premonitory rumblings of a new Federal jihad against the precious metals industry. As the Greater Depression deepens and large-scale retail distribution networks collapse, Americans will increasingly rely on locally produced foods -- an ironically beneficial side effect of the economic meltdown. In the fact that the Regime has chosen, in this economic environment, to mount a persecution campaign against independent local food producers we find eloquent testimony of its incurable malevolence. Courtesy of the Los Angeles Times (by way of The Agitator) comes the video record of the armed raid on Rawsome Foods -- and yes, the wankers in government-issued costumes did enter the establishment with their guns drawn. Please help keep Pro Libertate on-line. Thanks, and God bless! Tune in each Saturday night from 8:00-11:00 Mountain Time for Pro Libertate Radio on the Liberty News Radio Network. 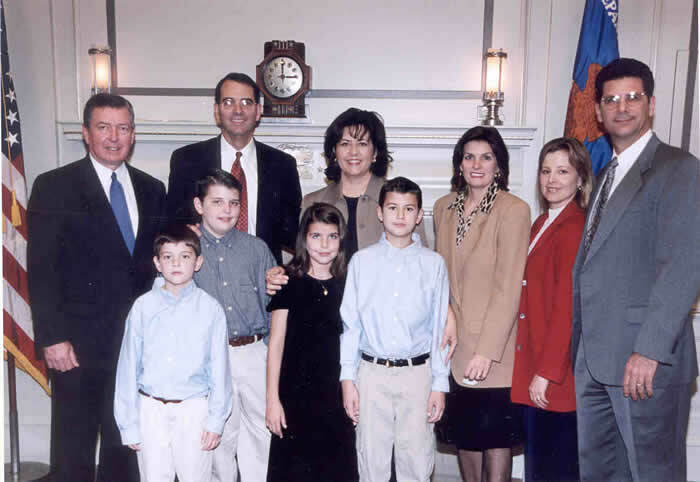 The pious torturer: Jay Bybee, with his family and then-AG John Ashcroft. Of those in the dock at the Nuremberg War Tribunal, Franz Schlegelberger was considered the most sympathetic, writes historian Doug Linder. In fact, he was the model for the character of Ernst Janning, the penitent German jurist portrayed by the incomparable Burt Lancaster in Judgment at Nuremberg. From 1931-1942, Judge Schlegelberger worked in the German Ministry of Justice, which was intended to be the institutional guardian of the rule of law. 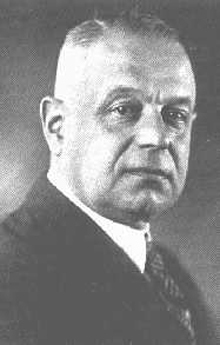 After the Nazi Party came to power in 1933, Schlegelberger made one tentative effort to restrain executive power: He objected to a decree retroactively imposing the death penalty on those blamed for the Reichstag Fire. This was a violation of the ancient legal maxim nulla poena sine lege ("no punishment without law"), he complained. This was quite likely the last time Schlegelberger -- who joined the Nazi Party in 1938 -- would insist that anything other than the will of the Fuhrer was the supreme law. In March 1940, Schlegelberger proposed an official policy requiring "that lawyers, like civil servants, be formally subject to release from their profession if they could no longer guarantee that they would at all times without reservation support the National Socialist state," recalls Eli Nathans in the Law and History Review. As Minister of Justice, Schlegelberger reiterated that demand in an extraordinary conference of German jurists and lawyers in April 1941. The first item on the agenda at that gathering, recalls German historian Ingo Muller in his book Hitler's Justice: The Courts of the Third Reich, was to hammer down any legal resistance to the Nazi Regime's T-4 euthanasia initiative, which would eventually kill over 170,000 Germans (and train key personnel for service in the death camps). "Schlegelberg acquainted the participants `with all the decisions of the Fuhrer,' so that `judges and public prosecutors would not cause grave damage to the legal system and the government by opposing measures they sincerely but mistakenly believe to be illegal, and would not place themselves in opposition to the will of the Fuhrer through no fault of their own,'" writes Muller. Although he never expressed contrition in terms akin to those used by his cinematic avatar Ernst Janning, Schlegelberger was perceived as a reluctant supporter of Hitler's rule and given a lenient sentence. From the available records it appears that Schlegelberger's most acute regrets dealt with what he experienced, rather than what he helped inflict on others. The product of a pious Christian family, Schlegelberger was typical of the functionaries who implemented policies of torture and mass murder on behalf of the Nazi Regime. Those men "were not sadists or killers by nature," observed Hannah Arendt in her book Eichmann in Jerusalem. This meant that some method had to be devised "to overcome not so much their conscience as the animal pity by which all normal men are affected in the presence of physical suffering." "The trick used by Himmler ... was very simple and probably very effective; it consisted in turning these instincts around, as it were, in directing them toward the self," Arendt continued. "So that instead of saying: What horrible things I did to people!, the murderers would be able to say: What horrible things I had to watch in the pursuance of my duties, how heavily the task weighed upon my shoulders!" There are some striking similarities between Schlegelberger, the self-pitying instrument of Hitler's will, and Judge Jay S. Bybee of the Ninth Circuit Court of Appeals, who played a key role in devising the Bush junta's torture policies. Both of them came from conservative religious backgrounds; both believed in unqualified obedience to established authority. And as Bybee's May 26 testimony before a closed-door meeting of the House Judiciary Committee demonstrates, he -- like Schlegelberger -- has mastered Himmler's method of redirecting pity from the victims of state-authorized crimes to the perpetrators thereof. 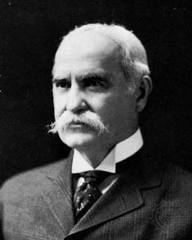 Bybee -- described in a flattering profile as a pious man, a Sunday School teacher who established a household rule forbidding his children to hit each other -- signed off on a series of memos written by John C. Yoo that "authorized" the torture of detainees, as long as the methods used fell short of "organ failure, impairment of a bodily function, or even death." That standard, as we will shortly see, was meant as a suggested guideline, rather than a rule. Although he told the House committee that certain degrading techniques employed by the CIA "were not authorized," the memos he and Yoo devised purported to offer legal shelter for a torturer in the employ of the president who killed a detainee. Furthermore, since Yoo -- who fleshed out the details on behalf of Bybee -- has claimed that the president can authorize the sexual torture of a detainee's child, it's difficult to take at face value Bybee's May 26 claim that forcing detainees to wear diapers and soil themselves somehow ran afoul of the torture guidelines he devised. As the song says, Bybee wasn't a bad man -- just ambitious. He was appointed assistant Attorney General in charge of the "Justice" Department's Office of Legal Counsel (OLC) on the understanding that he would receive a coveted judicial appointment if his performance pleased his boss, Attorney General Alberto Gonzalez. For his part, Yoo had designs on Bybee's position, which -- although all but unknown to the public -- offers access to lucrative and powerful positions in both the government and major government-aligned private law firms. Yoo dutifully devised specious arguments in favor of unlimited presidential "war powers," and Bybee eagerly gave them the OLC's imprimatur. As Judge Andrew Napolitano points out in his book Lies The Government Told You, this is exactly the opposite of how the OLC is supposed to function: "[T]he OLC is supposed to work as a check on the executive branch, representing a line of defense against unlawful executive activity." The Bybee/Yoo view of presidential war powers was identical to that expressed by Schlegelberger. In an August 1, 2002 memo offering retroactive "authority" for the Bush regime's existing practice of torture, Bybee endorsed the claim that those who tortured a detainee to death on presidential orders were immune to prosecution. Permitting enforcement of anti-torture statutes in any way, he insisted, "would represent an infringement of the President's authority to conduct war." 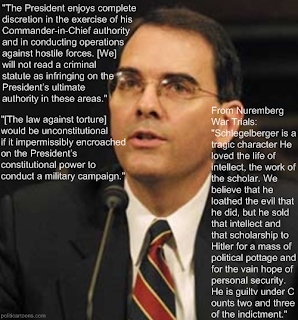 Schlegelberger's work to institutionalize torture in the Third Reich displayed a hypocritical punctilio similar to that exhibited by Bybee. Muller points out that after defendants accused of "political" crimes began to display tell-tale signs of torture, the German Justice Ministry under Schlegelberger "legalized the terror, to such an extent that they even established a `standard club' to be used in beatings, so that torture would at least be regularized." Although torture of "normal" criminal defendants was still forbidden -- and punishable by a prison term -- Schlegelberger, like Bybee and Yoo, was willing to arrange a work-around on behalf of the Fuhrer's dutiful servants. In 1941, Police Captain Wilhelm Klinzmann was convicted of torture for beating an arson confession out of a farm laborer named Robert Blodling. When the German Supreme Court refused to hear an appeal of Klinzmann's sentence, Schlegelberger created a new procedure called "cancellation" that, in Muller's words, "gave the government a means to end every current investigation or trial independently of judicial decisions." Thus "Klintzmann was [set] free and was not even considered to have a criminal record." This practice of "cancellation" prefigured both the Bybee/Yoo doctrine of transcendent presidential war powers, and the Obama administration's de facto ratification of Bush-era torture in the interests of "closure" -- or, as the estimable Glenn Greenwald puts it, looking "forward" rather than "backward." In search of personal gain, Bybee and Yoo perverted the law in order to enable torture. They are therefore liable to prosecution under bribery statutes. At the very least, Bybee should face impeachment, since bribery is specifically mentioned in the Constitution as an impeachable offense. "Cheer up -- Jay Bybee has it MUCH worse than you!" Obviously, Jay Bybee has ample cause for remorse -- even leaving aside the fact that he enabled the torture of human beings, many of whom were (and are) completely innocent. Yet when asked during the May 26 hearing if he had any regrets, Bybee displayed what Glenn Greenwald correctly describes as "sociopathic self-absorption." According to the New York Times, Bybee described himself as "proud" of the suborned memos he signed at the OLC, insisting that they were "well researched” and "very carefully written." "`I have regrets because of the notoriety that this has brought me,' he said. `It has imposed enormous pressures on me both professionally and personally. It has had an impact on my family. And I regret that, as a result of my government service, that that kind of attention has been visited on me and on my family.'" Weep not for those drowned, beaten, blinded, suffocated, subjected to genital mutilation, and murdered because of policies Bybee crafted in the service of fuhrerprinzip and his own ambition. Spare your tears instead for Bybee himself, who -- despite a lucrative, life-tenure judicial position -- suffers profoundly as a result of being criticized for the pivotal role he played in institutionalizing such barbarism. Himmler would recognize, and most likely admire, the ease with which Bybee has mastered the Nazi tactic of moral displacement. And Franz Schlegelberger may be driven to envy by the fact that his contemporary American counterpart found himself on the bench, rather than behind bars. Tune in each Saturday night for Pro Libertate Radio on the Liberty News Network. When the Regime sets prices, this is called "applied compassion." When producers organize to complain about price controls, and then freely decide not to offer their services at the artificially low price, this is called "a criminal conspiracy to fix prices." This is the central claim of the "consent decree" inflicted, at gunpoint, on a group of Idaho orthopedic surgeons by the Obama Regime -- with the eager collaboration of the Idaho State Attorney General. Under the terms of that extorted agreement, it would be tantamount to a criminal offense for a doctor to complain to his peers about regulatory actions that may drive accomplished medical specialists out of business. This is just one aspect of the multi-faceted ugliness inflicted on the medical profession through the federal crackdown on a group of Idaho orthopedic surgeons who rebelled against government-imposed price controls on medical treatment. The Idaho Industrial Commission imposes the "fee schedule" for worker's compensation claims. Rather than permitting the market to set prices for various treatment options, prices were set according to an abstruse formula called the "Resource-Based Value System" (RBVS). As the Justice (sic) Department explained in a May 28 legal filing, the RBVS "uses a `relative value unit' and a `conversion factor' to determine physician payment. The relative value unit measures the resources necessary to perform a medical service.... The conversion factor is a set dollar amount, say $100. A physician's payment for any medical service is generally calculated by multiplying the relative value unit by the conversion factor. For example, a physician would receive $500 for a medical service with a relative value unit of 5 and a conversion factor of $100." 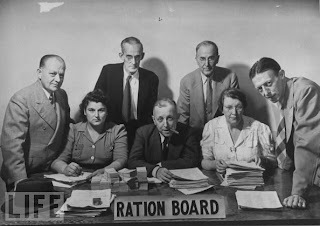 Collectivist demi-gods assemble: A WWII-era rationing Soviet. As an assembly of quasi-divine bureaucratic beings, the Idaho Industrial Commission apparently determines the "relative value unit" and "conversion factor" of medical procedures through direct revelation. In 2006, the Commission's Olympian deliberations yielded a "conversion factor" of $88 for many of the common orthopedic procedures covered by government-mandated worker's compensation insurance. The revised fee schedule was to go into effect on April 1 of that year -- appropriately, given that the date is the symbolic birthday of anybody who believes government to be a necessary and useful enterprise. It would have resulted in sharply reduced reimbursements to orthopedic surgeons. Predictably, a group of specialists in that field failed to appreciate the supernal wisdom contained in the Commission's freshly minted revelation: Betrayed by their faithless eyes, the physicians noticed that new fee schedule would probably put more than a few of them out of business. They compared notes and decided to organize an effort (coordinated through the Idaho Orthopedic Society) to change the government-imposed fee schedule. 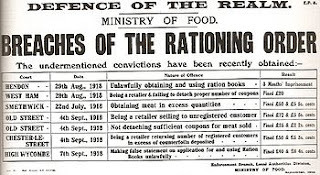 Enemies of the state: Wartime rationing convictions in the UK. Through meetings, phone conversations, and e-mail messages, a group of orthopedic surgeons agreed to withdraw from the workman's compensation insurance program, and to urge the Commission to revise the reimbursement rate to a more realistic figure. No doctor was coerced or otherwise pressured into opting out; in fact, specialists continued to provide treatment to emergency room patients under the new, lower rates. In February 2007, amid widespread defections of orthopedic specialists from the workman's comp program, the Commission consulted its Urim and Thummim and revised its fee schedule again, enacting a 61% increase over the artificially low rate it had set a year earlier. Satisfied, doctors rejoined the program -- even as Leviathan quietly prepared to punish them for their impudence. In the American political lexicon, the activities in which the Idaho orthopedic surgeons engaged are described as petitioning government for redress of grievances, a civic function explicitly protected by the Constitution. According to the Obama Regime -- and, let us not forget, the Republican-dominated Idaho state government, which collaborated in this totalitarian initiative -- this is "a combination or conspiracy in restraint of trade or commerce" under the detestable Sherman Act. Under the government's conspiracy theory, every meeting or communication among the defendants was transmuted into an "overt act" in the furtherance of that supposed criminal design. The terms of the settlement imposed on the surgeons by the "Justice" Department are designed to criminalize the exercise of constitutionally protected rights. Enforcement of the settlement will require Stasi-grade intrusive surveillance. As described in the "Final Judgment" announced on May 28, "Prohibited Conduct" on the part of the defendants includes any communication among orthopedists -- whether direct or indirect -- regarding any government-mandated insurance fees or contract terms, or decisions by any health care providers to withdraw from those programs. A list of "Permitted Conduct" -- remember, in a totalitarian system, government specifies what subjects may do -- graciously informs the victims that they are "free" to consult with their peers about matters of patient care. Interestingly, they are also permitted to discuss "legislative, judicial, or regulatory actions, or other governmental policies or actions," pursuant to "the Noerr-Pennington doctrine." This provision complicates matters considerably, given that the federal crackdown against the orthopedic surgeons violates that doctrine, under which the actions of the Idaho physicians were entirely appropriate. In United Mine Workers v. Pennington (which built on an earlier ruling in Eastern R. Conference v. Noerr Motors), the Supreme Court held that "Joint efforts to influence public officials do not violate the antitrust laws even though intended to eliminate competition." The behavior of the Idaho Orthopedic Society was far more innocuous. They weren't enlisting government aid to eliminate competition, they were simply trying to get a regulatory body to remove its boot from their necks. However, in the proto-fascist system now afflicting us, the former is entirely acceptable, and the latter is considered a grave offense against the "common good." Accordingly, the Idaho physicians to whom the Final Judgment applies are explicitly authorized to carry out "joint efforts to influence public officials," while at the same time expressly forbidden to do so. How are the doctors supposed to comply with the Final Judgment, given that its guidelines distinguishing "Prohibited" from "Acceptable" conduct make no sense? This is where the Regime engages in its preferred form of job creation -- that is, creating invasive busywork for state-employed commissars. The task of "determining or securing compliance" will be assigned to "authorized representatives of the United States Department of Justice or the Office of the Idaho Attorney General (including their consultants and other retained persons," explains the Final Judgment. These zampoliti (the Soviet Russian term for "political officers") will be given the supposed authority "to require that each defendant provide hard or electronic copies of all books, ledgers, accounts, records, data, and documents ... relating to any matters contained in this Final Judgment; and to interview, either informally or on the record, defendants and their officers, employees, or agents, who may have their individual counsel present, regarding such matters." In addition, the victims in this arrangement "shall submit written reports or a response to written interrogatories, under oath if requested, relating to any of the matters contained in this Final Judgment...."
The "Consent Decree" will be in effect for ten years. To understand what this would be like, it's helpful to imagine enduring a decade-long IRS audit, with the Feds reserving the option to prolong the torment as they see fit. 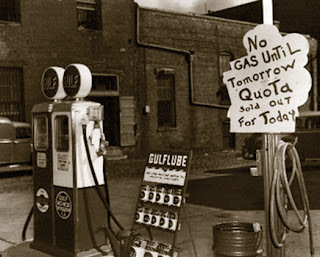 Dry gas pumps yesterday, "death panels" tomorrow. 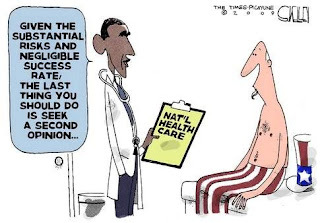 All of this is merely a grace note to the symphony of suffering called "Obamacare." It's important to recognize that although Obama may be waving the baton, the score he's conducting is a thoroughly bipartisan composition, building not only on New Deal and Great Society themes but also the corporate socialist HMO system developed under Richard Nixon. Also worthy of note is the contribution made by the loathsome Senator John Sherman, the Republican author of the corporatist Sherman Antitrust Act -- a supposed monopoly-busting act that actually enables the Regime to wage war against any business interest that is not part of an officially protected cartel. Idaho's Republican Attorney General -- a putative hero in the struggle to interdict Obamacare -- eagerly collaborated in the persecution of Idaho's renegade orthopedists. And someone in the Republican-dominated Idaho political establishment carefully shepherded the physicians into the embrace of Mark J. Botti, an attorney from Akin, Gump who until recently worked for the same section of the Justice (sic) Department that staged this pogrom. "Botti ran the exact same section that prosecuted his clients; he drafted a report that affirmed the exact same policies used to prosecute his clients; and he also advises an international antitrust group whose stated purpose is to expand the power of national antitrust regulators. Something tells me Botti wasn’t exactly the most zealous defender of his clients’ interests — at least not the clients who are currently paying him." As "defense" counsel in this matter, Botti's role was exactly the same as that of a defendant's advocate in the Cardassian court system: Collaborate with the prosecution to validate the infallible wisdom of the state through a pre-ordained guilty verdict, and help the defendant accept that verdict with proper submissive humility. The Federal jihad against Idaho's rebel orthopedic surgeons is a field test for the coming regulatory and legal assault on physicians under Obamacare. One eminently predictable -- and most likely intentional -- result of that onslaught will be health care rationing as the pool of health care providers is depleted. The next logical step would be to criminalize a doctor's decision to leave his profession because of price controls. After all, if a doctor can't withdraw from a government-mandated health coverage program, why should the government permit him to withhold his services by choosing another profession? Of course, at the rate the Regime is destroying the economy, in short order there won't be any other professions to choose from, or any wealth to plunder in order to fund grandiose social engineering schemes. Your help is vital to keep Pro Libertate on-line. Thanks! Be sure to join me each Saturday evening from 8:00-11:00 Mountain Time for Pro Libertate Radio on the Liberty News Radio Network. Labels: fascist medicine, Our Enemy the State, Socialized Medicine; "Obamacare"
La Reconquista? 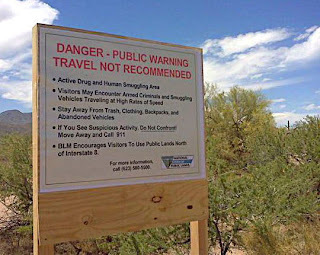 BLM travel advisory in AZ. 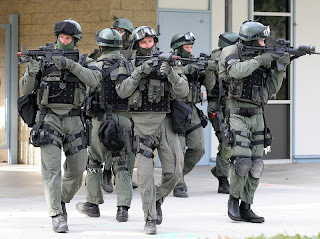 Which is the more serious threat to life, liberty and property: The illicit violence practiced by a handful of furtive armed drug smugglers in the Arizona desert, or the increasingly brazen militarization of U.S. law enforcement in the "war on drugs"? According to some hyperventilating commentators, drug smugglers -- with the guilty acquiescence of Barack Obama -- have seized control of a huge swath of Arizona, thereby asserting alien sovereignty over what was once American soil. If this were true, points out libertarian journalist (and Arizona resident) J.D. Tuccille, the Narcotics lords would preside over a kingdom "populated by rattlesnakes and cholla." What has actually happened is a minor but politically exploitable increase in criminal activity in one of the many drug smuggling corridors that have long existed in the southwest, channels of illicit commerce created in order to serve a huge market that persists despite decades of prohibition. While Mexican bandits supposedly exercise dominion over reptiles and cacti, National Guard units throughout the country are actively involved in transforming nominally civilian law enforcement agencies into a full-blown domestic army of occupation. Last year, according to Albany, New York Fox affiliate WXXA, the New York State National Guard "assisted in more than 2,000 arrests ... and had almost $150 million in drug, property and weapon seizures." While they do engage in the occasional isolated shoot-out, the drug gangs supposedly controlling a section of Arizona aren't terrorizing innocent families in late-night or early-morning armed raids. Nor are they detaining -- and sometimes killing -- motorists at checkpoints. They're not plundering people in roadside shakedowns. Criminal violence of that kind is carried out every day by police -- often with hands-on military assistance -- as part of the "war on drugs." According to Col. Alden Saddlemire of the New York National Guard, the martial language used to describe this domestic campaign is literal, not metaphorical. "The war on drugs is an ongoing war," Saddlemire told WXXA. "It's a domestic fight [we] firmly believe in." Occupying Army: No, these guys aren't Mexican narco-terrorists. Prohibition always results in the criminalization of markets. Thus it's hardly surprising that America's vast market for prohibited mood-altering substances is being served by violent and ruthless people. That violence, however, is mostly self-contained. The same cannot be said for the violence -- both implicit and overt -- carried out in the name of drug enforcement, which in practical terms is little more than a price support program for the narcotics cartels. 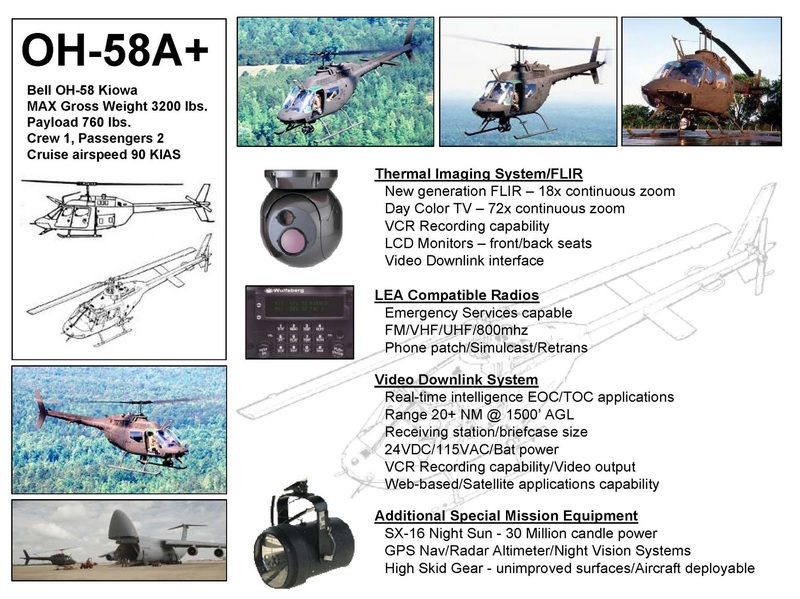 According to official propaganda, the National Guard Counterdrug Program (NGCDP) "operates in all 54 states and territories to support local, state, and federal law enforcement agencies..... [The program] currently operates 125 OH-58 Kiowa helicopters to support federal, state and local Law Enforcement Agencies' demand for aviation support in Counterdrug operations." Guard pilots and support personnel are actively involved in "area surveillance and reconnaissance; vehicle/fugitive surveillance and tracking, cover/force protection during RAID/Sweeps" and cannabis eradication operations. One must hack through a dense thicket of acronyms in order to uncover what's really happening here. The NGCDP -- that's National Guard Counterdrug Program -- "recently realigned CD RAID Detachments into Security and Support Battalions," the mystified reader is told without being informed that "CD RAID" refers to Counter-Drug Recon and Aerial Interdiction Detachments. We're not in Mayberry anymore. We then learn that although "mission focus" remains on "LEA support to CD operations" -- that is, assisting Law Enforcement Agencies carry out Counter-Drug programs -- "HLS/HLD missions will take on a larger role than before." That singularly opaque clause refers to Homeland Security/Homeland Defense operations. Deprived of semantic camouflage this is an admission that the escalation of the military's role in the "war on drugs" will segue into larger, and increasingly overt, domestic military role in "homeland security." The NGCDP is eager to dispense all kinds of military hardware -- complete with "technical support" personnel -- on any "civilian" law enforcement agency that puts in a request. You want night vision goggles? Forward-Looking Infrared gear (which was used to such dramatic effect in the murderous final assault on the Branch Davidians)? Thermal imagers, surveillance aircraft, mobile gamma-ray automobile inspection units? Just give the National Guard a holler, and they'll be happy to help. 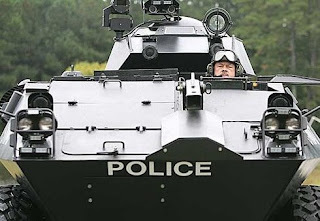 Wish list: A National Guard menu for police militarization. Sure, this means some swivel-hipping around that pesky Posse Comitatus Act, but it's pretty much a dead letter anyway. 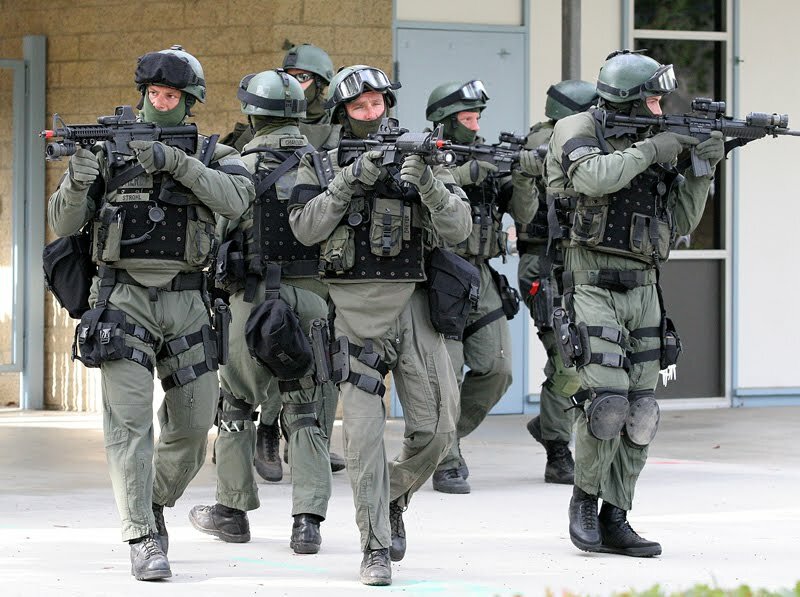 Once the Guard is seamlessly integrated into the domestic counter-drug effort, they'll be ready to carry out whatever other homeland security missions that arise: mass arrests of protesters and perfectly harmless civilians during political conventions, confiscation of firearms during disasters or other emergencies, or even -- as Gen. George S. Patton once recommended -- the use of total war tactics (summary mass detentions, summary executions of conspicuous troublemakers, the use of toxic gas and white phosphorous munitions) against organized dissident groups. All of this has been done already, on a limited scale and in specific circumstances. Because of the "war on drugs" and the "war on terror," the infrastructure is now in place to institutionalize those once-exceptional abuses, if -- make that "when" -- our self-appointed rulers choose to do so. Some who are properly alarmed over all of this have invested their hopes in Sheriff Richard Mack's campaign to educate and mobilize county sheriffs to resist federal usurpation of state and local authority. Sheriff Mack is an admirable man, and his campaign is worthwhile -- but too many sheriffs have already been bought off by the Feds. One example among many is Sheriff Tom Bosenko of California's Shasta County, who allocated $340,000 to create a special marijuana suppression unitlargesse. Paul Babeu, the Sheriff of Arizona's Pinal County, has pioneered a new approach to federalizing local law enforcement: He has actually invited the Feds to occupy Arizona on the pretext of defending the state from the illegal immigrant "invasion." Sheriff Babeu -- a PR-fixated political ally of arch-neocon John McCain -- is consciously carving out a media-friendly persona as the heir to Maricopa County Sheriff Joe Arpaio. It was Babeu who induced a paroxysm of populist outrage by declaring that the Obama administration had effectively surrendered a swath of Arizona to Mexico. 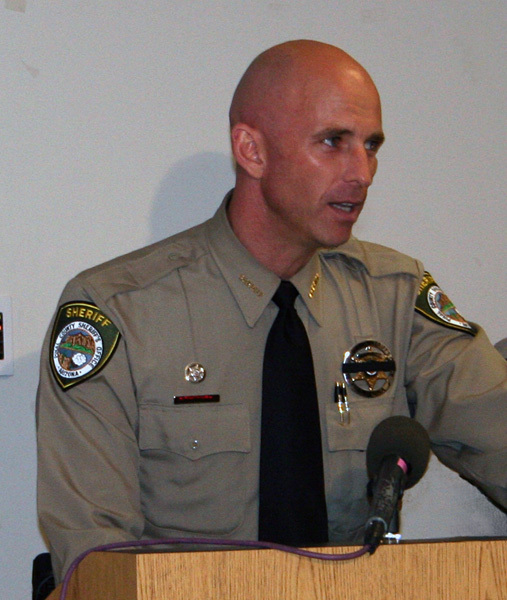 “It’s literally out of control,” Babeu insisted in an interview with Fox News. “We stood with Senator McCain and literally demanded support for 3,000 soldiers to be deployed to Arizona to get this under control and finally secure our border with Mexico." Sheriff Clarence Dupnik, who also takes a hard line on immigration enforcement but doesn't share Babeu's siege mentality or appetite for media attention. Sheriff Dupnik is one of several Arizona law enforcement veterans who believe that the problems associated with illegal immigration are being inflated into a politically useful "crisis." Retired Mesa police officer Bill Richardson, who worked in counter-narcotics task forces in several Arizona counties, believes that Babeu -- like Arpaio and Arizona state senator Russell Pearce (chief sponsor of SB 1070) -- is "fanning the flames of fear, that the undocumented are the root cause of crime in Arizona. In fact, they are not." Whether or not this assessment is accurate, both immigration (legal and illegal) and violent crime have been steadily decreasing in Arizona over the past decade -- a period encompassing Babeu's entire law enforcement career. Richardson, a long-time Arizona resident with decades of law enforcement experience, points out that Babeu -- who relocated to Arizona after losing a mayoral race in North Adams, Massachusetts in 2001 -- was a police officer in Chandler for just 5 1/2 years (during which time he served as head of the local police union) before being elected Pima County Sheriff. Two of those years were spent in National Guard deployments -- one of them in Iraq, the other on the southern border as part of a joint effort with the Border Patrol called "Operation Jump Start." Babeu, who enlisted at 21 and currently holds the rank of Major in the National Guard, often campaigned in uniform as a perennial Republican political candidate in Massachusetts. He was successful once, winning a spot on the Berkshire County Commission and a leadership role in the County GOP. Babeu, who refers to McCain as his "hero," is hard-wired into the neo-con-dominated Republican media apparatus, and he clearly has aspirations above and beyond his current position. Just as importantly, 41-year-old Babeu -- who is both a county sheriff and a National Guard major -- literally embodies the ongoing merger of the military and law enforcement. He is the fons et origo of the notion that Obama, in an act of high treason, surrendered sacred American soil to Mexican drug gangs -- which isn't strictly true, of course, but is irresistibly potent to political opportunists. Immigration, Babeu insists, "is the number one issue that faces Arizona." This could be considered the truth in the sense that it is the most useful issue for candidates looking to build a political career, and opportunistic incumbents -- including Senator McCain, who once supported amnesty for illegal immigrants but has re-cast himself as a flint-eyed border guardian in his ongoing re-election campaign. As the current issue of Harper's magazine documents, the most serious problems besetting Arizona have little if anything to do with immigration, and everything to do with the most recent Federal Reserve-engineered depression. J.D. Tuccille points out that concern over immigration is most pronounced in Phoenix, rather than in the southern part of the state. Phoenix somehow survived the immigrant onslaught, but it may be doomed as a result of the collapse of the housing bubble. Ken Silverstein of Harper's points out that 61.5 percent of all Phoenix mortgages are "underwater," and unemployment is probably running at about 18 percent or higher. The latter figure can't be explained as a case of immigrants "stealing" jobs from natives, since the housing implosion led to a dramatic contraction of the immigrant labor pool. Forty-five minutes southwest of Phoenix there's a town called Maricopa that didn't exist ten years ago: It was created at the height of the Fed-induced housing frenzy. It's entirely possible that Maricopa won't exist a decade from now: It was a town built entirely on fraud. "They weren't building homes," explains the consistently quotable Jay Butler, an associate professor of real estate at Arizona State University. "They were building mortgages that they could put into mortgage-backed securities in order to sell them to investors in China and France." Amid a pervasive atmosphere of moral hazard, mortgage loans were extended to practically anybody with a pulse and the ability sign the necessary documents. The results were utterly predictable. Four years ago in Maricopa, speculators were buying whole tracts of houses and builders were demanding a 12-hour turnaround on building permits in order to meet existing demand. Today, that future ghost town registers a "distress index" (percentage of home sales involving bank-owned or pre-foreclosure properties) of 76.8 percent. "In a neighborhood called Maricopa Meadows," writes Ken Silverstein, "we rolled past a block of McMansions, all but a handful of which had gone into foreclosure." Silverstein's guide observed: "You've got people doubling up in houses so they can split utilities.... The story is the same from here to Queen Creek to Buckeye, in all these places that people scattered before the crash." When the Fed's bubble was expanding, Realtors sold homes to unqualified buyers at grotesquely inflated price. Now that the bubble has burst, Realtors in are doing a similarly brisk business in repossessions. Given the dim prospects for an economic rebound, it's profoundly doubtful that many of those homes will ever be re-sold. And the coming commercial real estate crash will be at least as devastating for Arizona, a "branch office" state with little local industry apart from agriculture. As her state descends into economic ruin, Governor Jan Brewer -- hailed by Republican conservatives nation-wide as a heroine for signing SB 1070 -- is working diligently to impose a drastic sales tax increase on the state. Borrowing a familiar leftist trope, Brewer has claimed that people will "die" unless the regressive tax increase is enacted in the midst of a deepening economic contraction. As Governor, Brewer (who, like Babeu, is allied with McCain) has done nothing to reduce the size and expense of the state government. The timely and welcome distraction provided by the controversy over SB 1070, notes Barbara Hollingsworth of the Washington Examiner, saved Brewer "from a nasty primary challenge" arising from her $3 billion sales tax increase. Now, however, some opinion polls place her just five points behind President Obama in a hypothetical 2012 match-up -- solely on the strength of her perceived role as a proponent of "secure borders." Brewer's reputation was enhanced by an open letter to Obama in which Brewer demanded a "border surge" involving at least 6,000 troops. And it wasn't noticeably injured when she made the risible claim that the "majority" of illegal immigrants are working as "mules" in the employ of drug cartels -- a claim immediately and decisively shot down by T.J. Bonner of the National Border Patrol Council. Displaying gallantry through heroic understatement, Bonner said that Brewer's demented claim "doesn't comport with reality." This isn't surprising, given that Brewer and her allies aren't in the reality business. Like narcotics pushers, they're in the business of promoting altered states of consciousness for profit -- such as the perception that Arizona is about to be devoured in a Mexican anschluss. Brewer persisted in her reality-aversive treatment of the immigration issue by repeatedly making the horrifying and entirely unsubstantiated claim that illegal immigrants had committed "beheadings" in Arizona. "We cannot afford all this illegal immigration and everything that comes with it, everything from the crime and to the drugs and the kidnappings and the extortion and the beheadings," stated Brewer in an interview with Fox News. While it's true that some drug-related murders in Mexico have involved beheading, there's not been a single documented case of that kind in Arizona. This didn't deter Brewer from reiterating that claim -- citing unspecified "law enforcement agencies" as sources -- in a subsequent interview. Following up on those interviews, the Arizona Guardian reported that six county medical examiners, including four from border counties, "say they have never heard of such attacks." Which is to say that this is another terrifying claim that doesn't "comport with reality. "It is, however, extremely useful for Brewer's brand of what Mencken described as "practical politics" -- "keep[ing] the populace alarmed (and hence clamorous to be led to safety) by menacing it with an endless series of hobgoblins, all of them imaginary." If Brewer and her allies were interested in reality-based solutions to narcotics-related violent crime, Brewer and her ilk would agitate for the repeal of drug prohibition and an end to the subsidies and military aid to Mexico that are fueling the narcotics wars in that country. Instead, they're doing their considerable best to keep their constituents hopelessly addicted to the domestic warfare state. "As a resident of Arizona for more than forty years, I assure you that Maricopa did exist more than ten years ago, as did many other small `intersection communities' on the outskirts of the Phoenix Metro area that became developers and mortgage brokers havens," writes an accomplished and well-informed reader from Arizona. "`No industries other than agriculture'? I guess that you are not keeping up with the role of copper in the world marketplace. Arizona is the largest source of copper in the western world. Not to mention the thriving aerospace and electronics, banking and IT industries in the state.... Arizona is [also] in the lead exporting not only copper, but also cotton, alfalfa, beef, and computer chips." "Errors on such basic facts are not acceptable for someone in your position," he concludes. "It does not change the basic correctness of your thesis, but certainly causes one to pause and consider how deeply familiar you actually are with Arizona as it really is...."
I appreciate the corrections, especially with regard to Arizona's copper industry, which was a significant oversight on my part. My intent in describing Arizona as a "branch office" state was not to deny or minimize the current role of IT and other tech-related employers, but rather to underscore the vulnerability of the state to a commercial real estate collapse in the likely event that out-of-state firms are forced to cut back as a result of the ongoing worldwide contraction. And, for what it's worth, I don't regard "banking" as a viable industry, for reasons made vivid in the rapid expansion, and even more rapid catastrophic collapse, of Maricopa. Responding to my observation that "the drug gangs supposedly controlling a section of Arizona aren't terrorizing innocent families in late-night or early-morning armed raids.... [n]or are they detaining -- and sometimes killing -- motorists at checkpoints.... [or] plundering people in roadside shakedowns," another reader (who didn't specify his place of residence) contends: "Well, yes, as a matter of fact they are. This fact in no way lessens the hideous increase in the growth of the police state, but you shouldn't misrepresent the border crime problem." I've consistently acknowledged the serious problem of violent crime at the U.S.-Mexico border, which I believe is largely driven by the politics of domestic prohibition and Washington's insane subsidy of Mexico's narco-state. Ending those policies, in my view, would help mitigate the problem of violence at the border. It probably wouldn't solve it outright, but problems rooted in human depravity aren't amenable to political solutions. Boldly risking certain death by decapitation at the hands of ubiquitous Mexican drug smugglers, "Real News Tucson" drives through the section of southern Arizona supposedly ceded to Mexico. Oddly enough, the only trouble they encounter comes at a Border Patrol checkpoint two dozen miles inside the border, where they are definitively told by a BP agent that the notion part of Arizona has been surrendered to Mexican control -- and are therefore inaccessible to Americans -- is "false information." Your donations are vital to keep Pro Libertate up and running. Thank you so much! Catch Pro Libertate Radio each Saturday evening from 8:00-11:00 Mountain Time on the Liberty News Radio Network.